The Best Lunchbox Noodle Solution? I'm a huge noodle fan. One of my favourite teas as a child was noodles, breaded chicken and mayonnaise - unhealthy yes, but oh my gosh super tasty. Then as a student I discovered the joy of supernoodles with grated cheese in them, which sounds odd but is actually super tasty. However when I'm at work and craving noodles, a noodle pot is the easiest solution. I have spent a lot of time trying out the different noodle pots, ranging from Pot Noodles to own brand ones, and none have really tickled my pickle beyond being a way to fill up. Pot Noodles are yummy, but too unhealthy, some of the healthy ones just have no flavour, and some others are just too messy to take to work. Enter Mr Lee's noodles. I found them on Twitter and when they offered to send me some of their noodles to review, I thought why not, as it can be yet another test on my quest to solution. The entire range is gluten free and relatively low calorie as they use rice noodles instead of wheat ones, which are my preferred noodle of choice these days as they just don't bloat me as much as wheat noodles do. The first flavour I tried was the Penang Chicken Curry Laksa and I was surprised to find chunks of actual chicken in there, that tasted and looked like chicken! It was really tasty and kept me full until tea time, which is unusual for me. I thought I'd try the Hong Kong Street Beef one next, and I was chuffed to see actual chunks of beef in this one too. I've now tried all the flavours so I can confirm that when they say Dragon Fire mushroom, they mean dragon fire. Oh my goodness that one blew my head off a little bit, much to Rich's entertainment as it left me panting next to him. I'd say it's a similar level of spice to a Nando's hot, so you can gauge it for yourself if you'd melt like I did. There has only been one flavour I didn't like, which is the Shaolin Monk Vegetables. This was just a bit bland for my taste, and overly broccoli'd, which isn't my favourite of the vegetables. Overall though, I'm a huge fan, and would definitely keep a stash of these in for the future when I need a lunch but don't have anything fresh in the house. They're not currently available in the shops but are currently available from here with free shipping, which is a bonus! 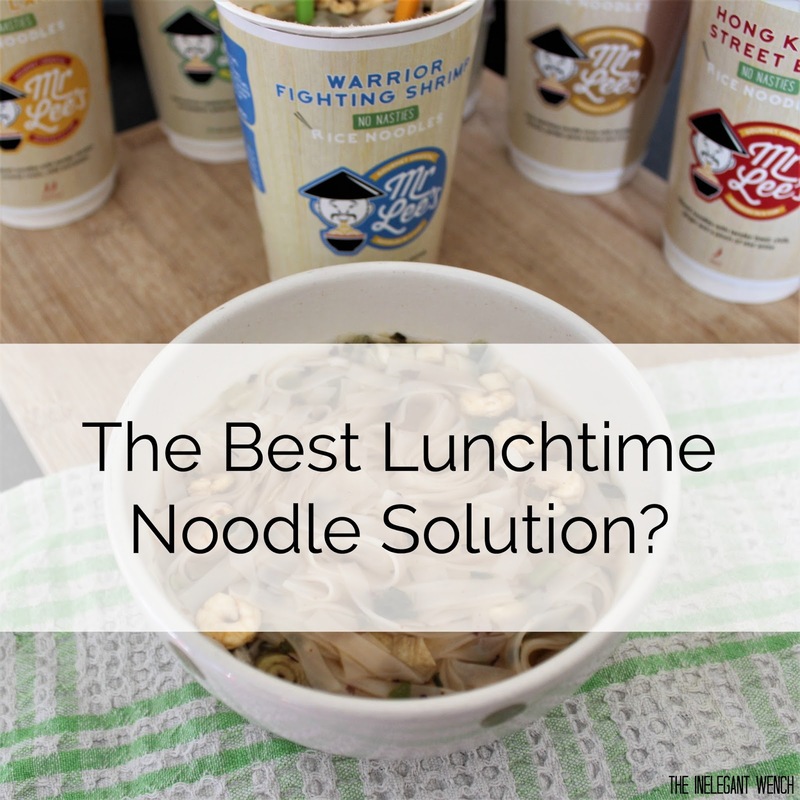 What's your favourite lunchtime noodle solution?